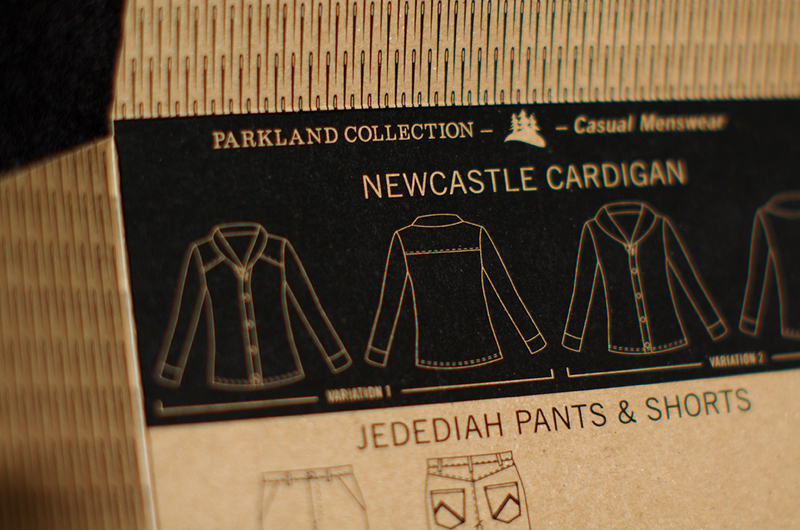 Have you seen our new Parkland Collection photos yet? Let me show you! 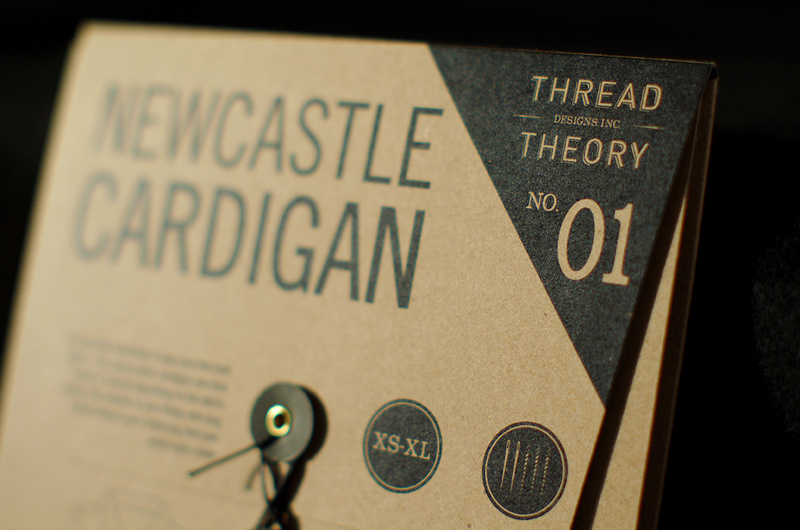 We began work on the Parkland Collection over 5 years ago when Thread Theory was still just an exciting idea for Matt and I. 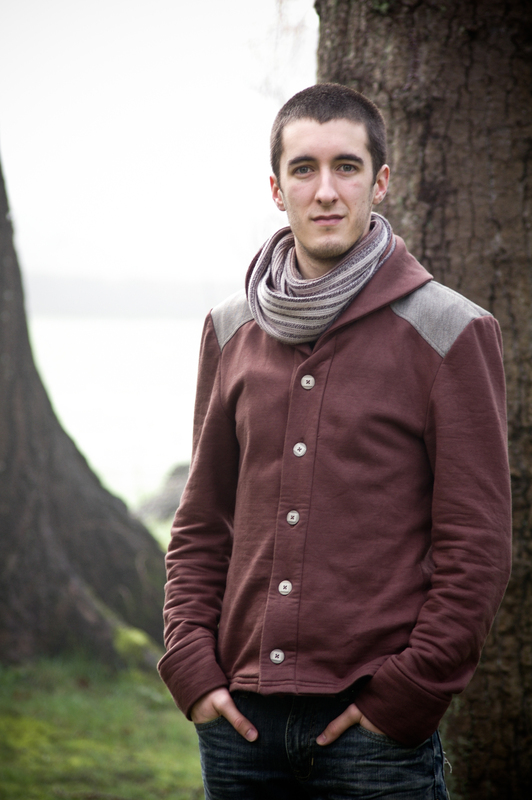 We wanted to create casual menswear sewing patterns that would allow sewists to create the same comfortable and modern styles that they would buy ready made from a shop. 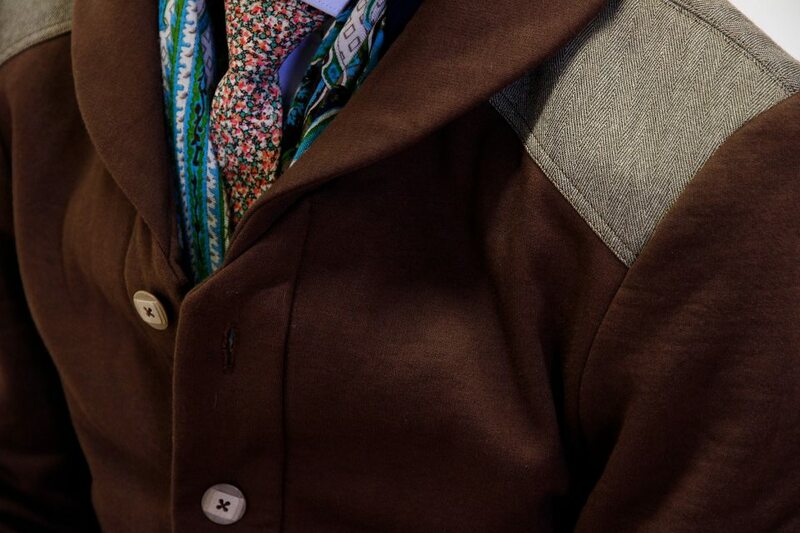 Since we still stand by that concept of sewing practical garments to fill a man’s daily wardrobe, we figured it was high time to refresh the fabric choices, styling and location of our website photos! 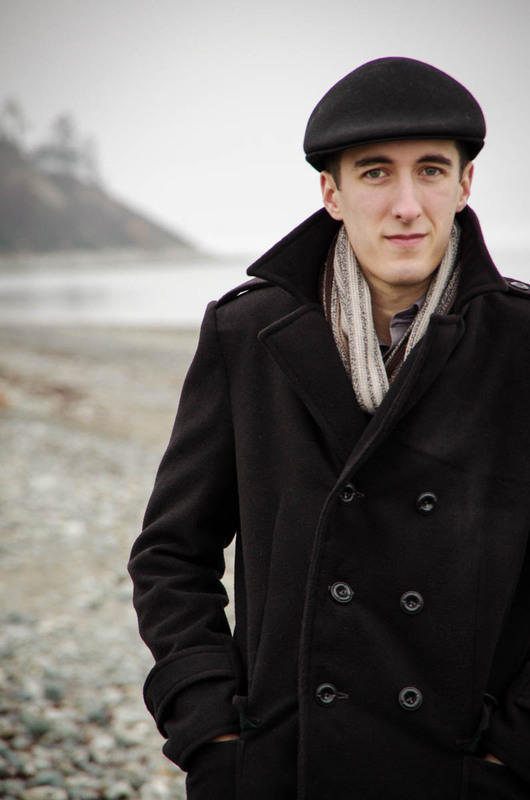 We photographed several examples of the Newcastle Cardigan, Jedediah Pants, Strathcona Henley and Goldstream Peacoat at Rathtrevor park two weeks ago with my Grandpa, Dad and Matt as models. I’ve been dying to feature my Grandpa on our website because he has the most wonderfully friendly face you will ever see! 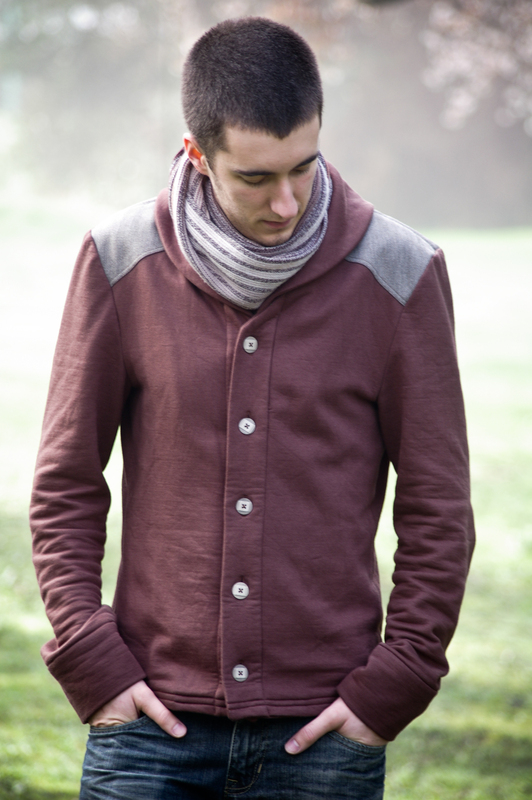 Plus he looks exceptionally dashing in Variation 2 of our Newcastle Cardigan with the extra large shawl collar. I sewed this Newcastle from a sage green wool blend knit that I purchased at one of our retailers, the Makehouse, in Victoria, B.C. It’s thick and cozy but quite breathable so it is a great choice for the fluctuating spring weather that we’ve been having. My dad has always been our go-to model since he is so easy to photograph and always willing no matter how uncomfortable photo shoots make him. I made him a Strathcona T-shirt since he wears out tees at a rapid pace and always needs a fresh one or two in his wardrobe…he’s never been enthusiastic on the idea of changing in to ‘work clothes’ before embarking on a messy project. I guess I got that trait from him since I have been known to garden in dresses and hike in my favourite blouse! 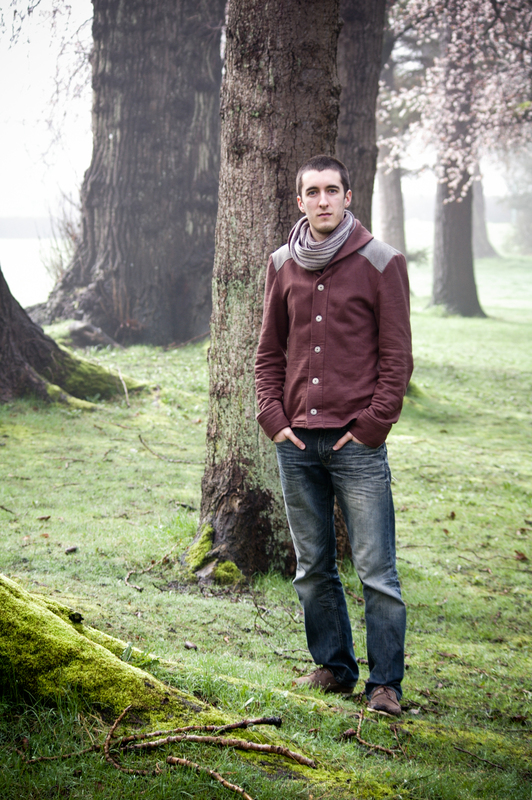 This particular Strath Tee is made using our bamboo and cotton stretch jersey which I will ALWAYS stock in our shop in a variety of colourways (as long as it is available for me to purchase). As I’ve mentioned before, it is my favourite fabric and I happily dress myself head to toe in it! It’s the perfect combo of silky smooth, extremely strong and fully opaque. My dad reports that this t-shirt is really comfortable. 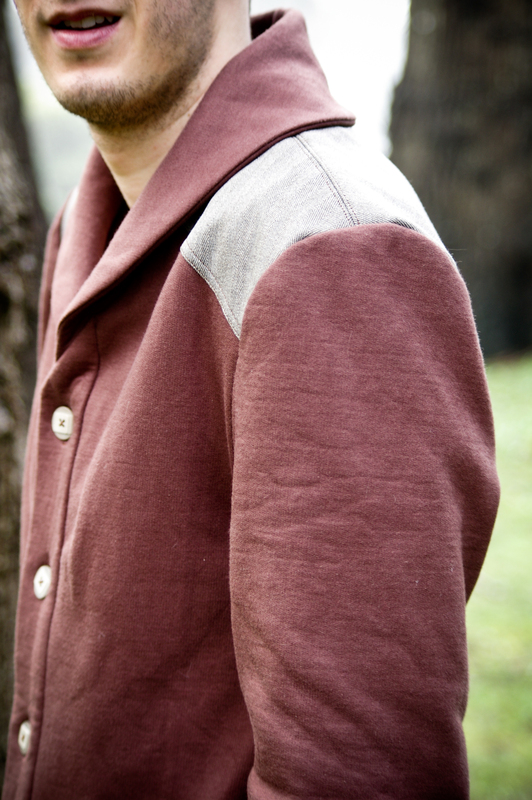 I also made a Strathcona Henley for Matt, this time Variation 1 – the proper Henley. He needed a crisp white shirt that could be layered under button-ups or worn on its own. The crisp and shockingly white fabric that I used was the 100% cotton jersey t-shirt knit from our shop. It was very easy to sew for a knit! It is stable and does not curl and shift very much. 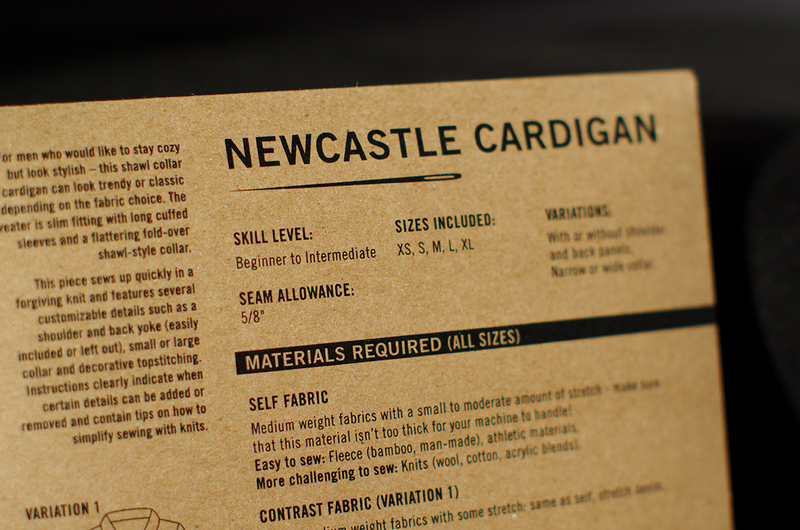 It’s also the exact weight and style of knit that Matt prefers to wear – he tends to choose thin jerseys over plush interlocks for a daily t-shirt. 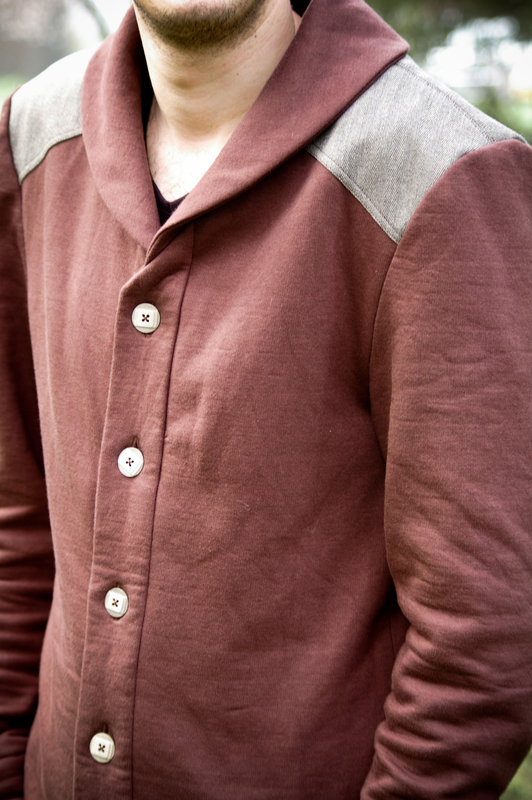 To pair with his new Henley, I also sewed Matt his favourite Jedediah shorts. He has worn a few pairs out now over the years! While we were at it, I attempted to take some fresh photos of the grey cotton twill Jedediah Pants that I sewed for Matt about three years ago. They have worn so well and remain a constant in his wardrobe but I have never properly photographed them so I felt they deserved a little bit of attention! Here he’s paired them with the white Strath, his favourite Fairfield Button-up and his new navy blue loafers. It’s a really smart look and I wish I could show you more photos but I am terrible at operating Matt’s camera and missed the focus on all of them. 😦 Next time we do a photoshoot I will try again! Last but not least, we took the opportunity to photograph my Dad in the gorgeous Goldstream Peacoat that my mom tailored for him. 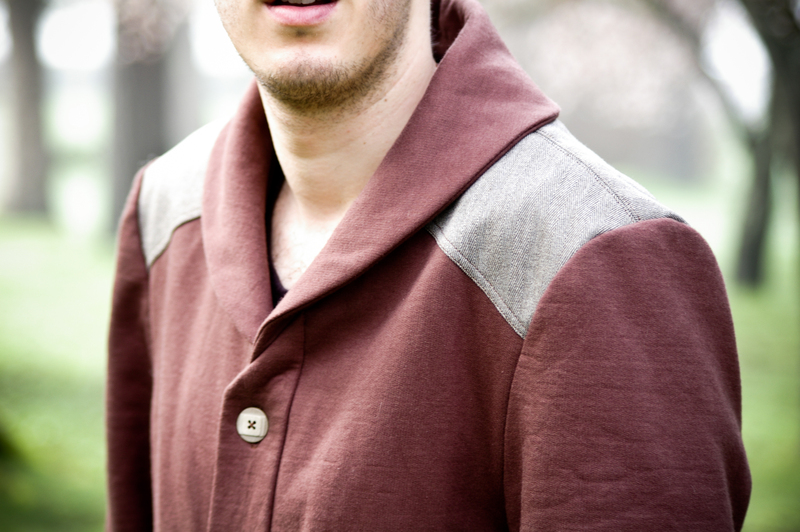 She wrote a blog post about her experience sewing this coat three years ago. 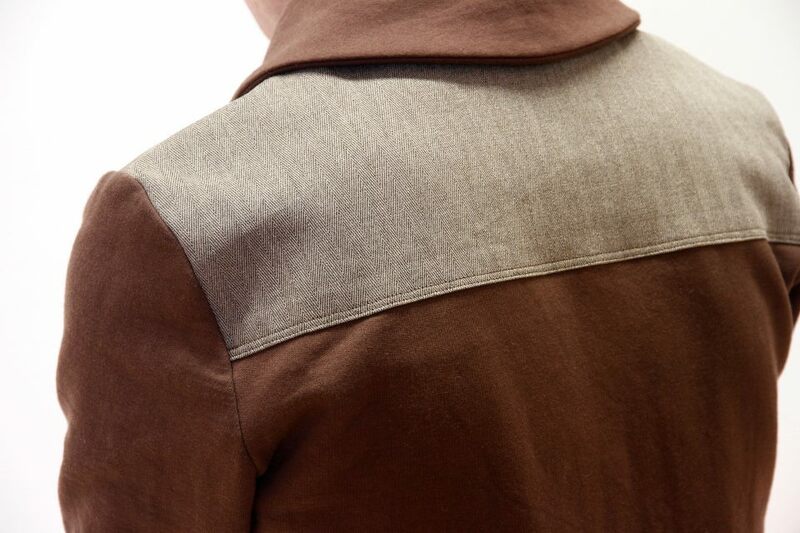 As you can see, her tailoring efforts have held up to a few winters of wear beautifully! She purchased the highest end wool she could find at our local fabric store and I think this was a great choice because the Goldstream that I made for Matt around the same time period has long since pilled horribly and headed for the scrap bin. It was a wool blend with, I think, very little wool actually in it. I have some gorgeous Pendleton wool cut out for Matt and I REALLY need to make him a Goldstream as smart as my dad’s version! Thanks, Dad, Grampie and Matt for handling the pressures of modelling so well! As many of you who blog your creations must know, it can be a lot more challenging than you might think to remember how to smile (without it appearing as a grimace) or how to hold your hands (without clenching them in to tight fists) after 50 photos have been taken of you! I think my family did a wonderful job (if I do say so myself) and I am so proud that they wear the garments that I make them with such enthusiasm. 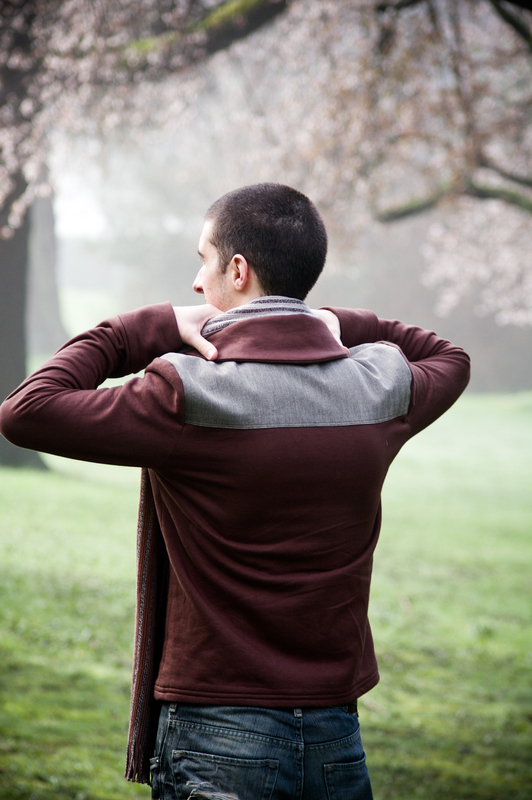 To celebrate these new photos and Father’s Day I’ve put our Parkland Collection on sale! 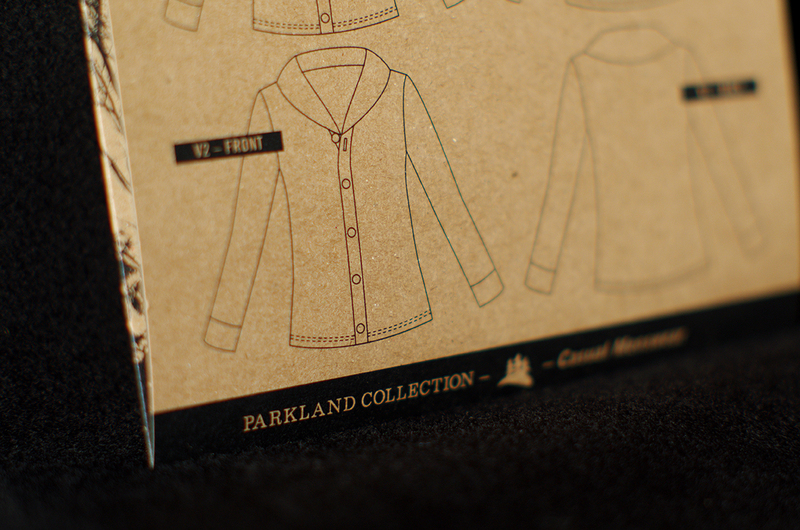 Head to our shop to purchase any Parkland Collection pattern at 20% off (PDF or tissue pattern!). Use the discount code: FRESHPARKLAND The sale expires at the end of Father’s Day Sunday, June 18th. Categories: Thread Theory News | Tags: Parkland Collection | Permalink. 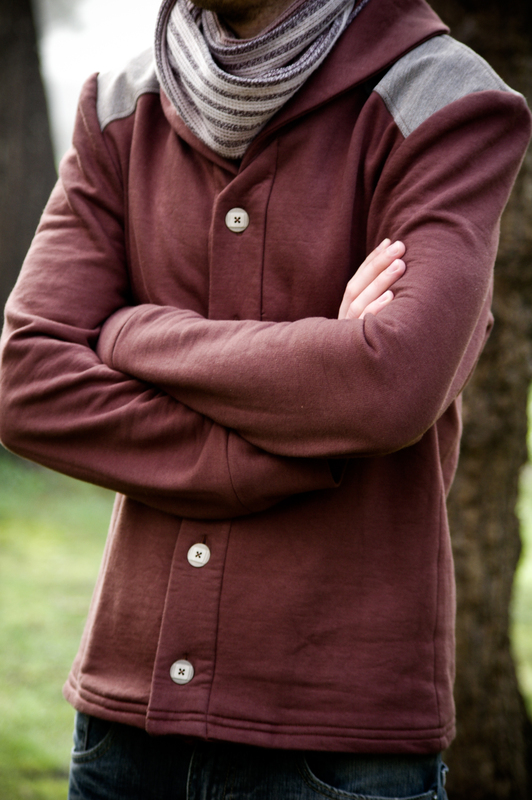 Goldstream Peacoat PDF: We couldn’t keep you waiting any longer! 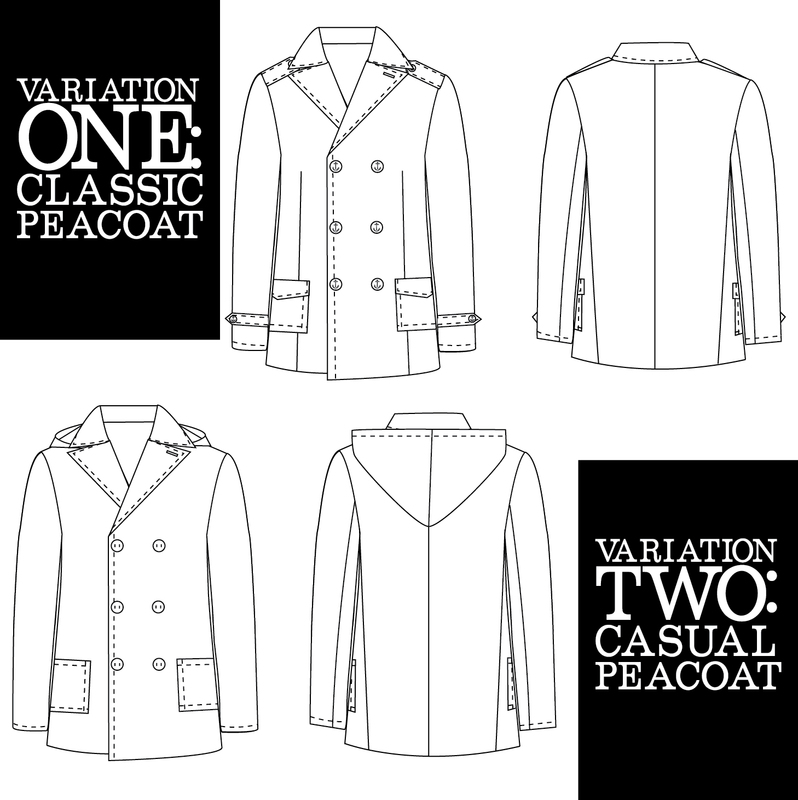 Yes, you read that title correctly…the Goldstream Peacoat PDF sewing pattern is officially available in our pattern store! We are so thrilled to finally be able to offer you this pattern, especially since it is the pattern we have received the most requests and comments about. To reward you for your patience and enthusiasm, purchase the Goldstream PDF now until noon (PST) tomorrow for 15% off! Enter the code HURRAH at checkout to help us celebrate the launch and to receive your discount! For those of you who are holding out for the printed version of our pattern, it is currently at our printers and we swear, you won’t have to wait much longer! 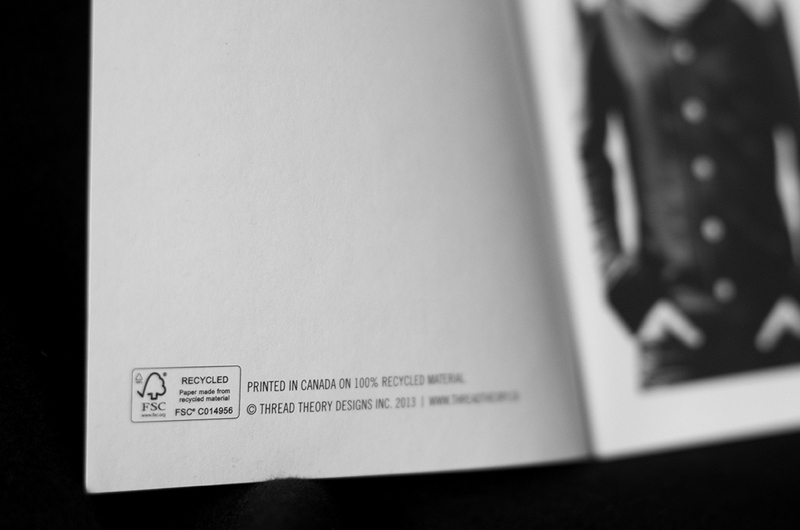 The Goldstream Peacoat is a large PDF file so we recommend taking it to the printers to save yourself printer ink, tape and time. If you have a Staples near by or a similar roll feed printer, it is quite affordable and very quick to have it printed. At Staples, ask for their cheap Engineer Prints. If you don’t have a roll feed print shop available to you, it is still, of course, completely possible to print it at home and tape it together. I did so myself when I sewed Matt’s Christmas peacoat. I always collect the paper we have printed things onto and re-use the second side of the paper for PDF patterns, that way it feels like I’m not ‘wasting’ quite so many resources. Despite the pattern being quite large I was able to get into the rhythm of things and finish the taping and cutting out of the paper pattern pieces in one marathon evening. 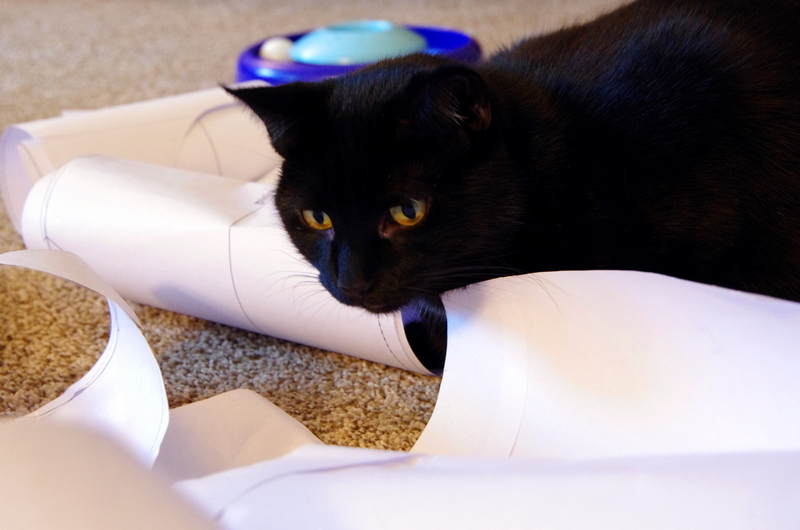 I think PDF assembly is my cat Jazzy’s favourite thing in the whole wide world so her paper-hunting antics greatly add to my enjoyment of the process! 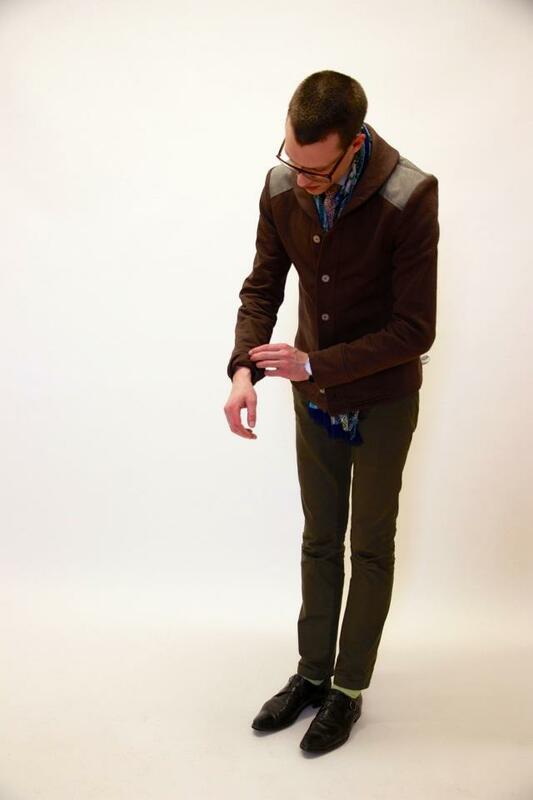 Now go make yours – we can’t wait to see your perfect peacoat! Happy Sewing! Categories: Friday Posts, Goldstream Peacoat, Morgan's Sewing Projects | Tags: Parkland Collection, sewing pattern | Permalink. This Friday: Our Official Paper Pattern Launch Day! 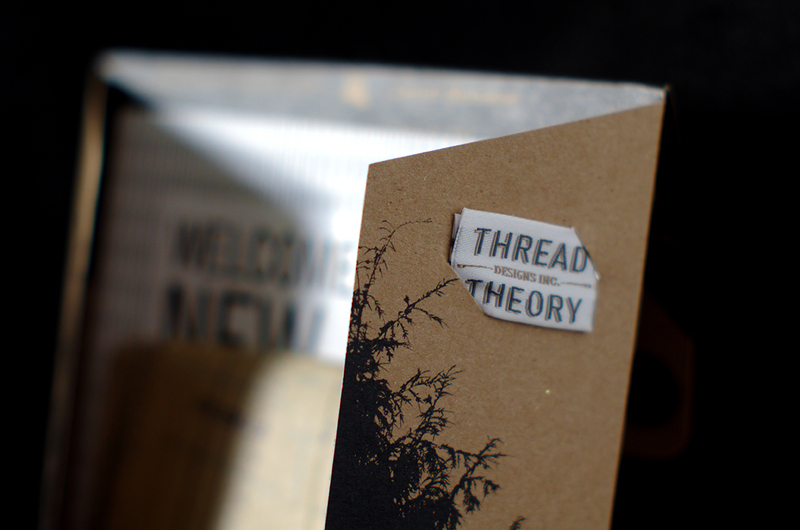 As of 8:00am (PST) Friday, January 10th you will be able to head over to our pattern store and buy Thread Theory paper sewing patterns! You will also be able to visit our Stockist page to see if there is an online or brick and mortar store near you that carries our paper patterns. If there isn’t, be sure to drop a hint or two at your local fabric store and tell them to send us an email (info@threadtheory.ca) to set up a wholesale account. 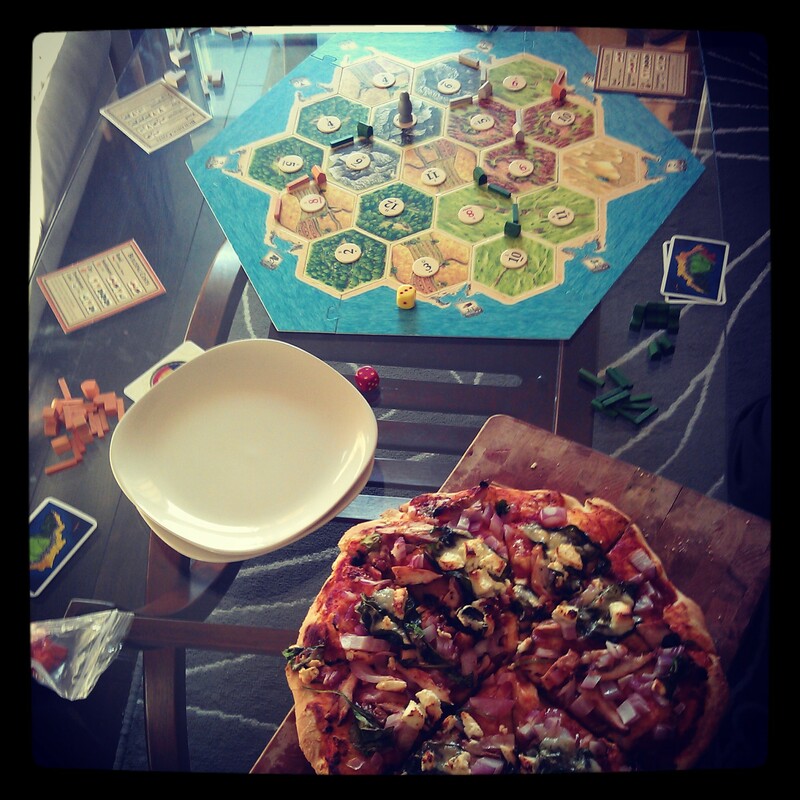 To get you excited for our launch day, here is an indepth photo tour of our (we think!) 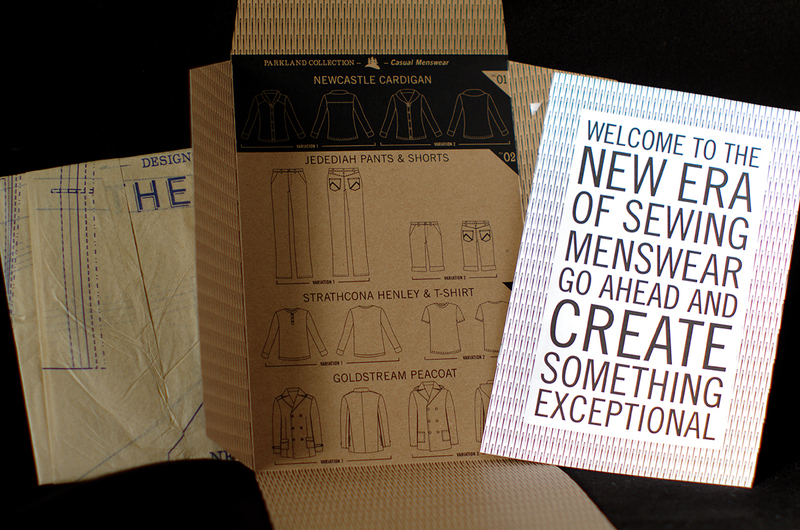 beautifully designed envelopes and instructions. The envelopes are not your traditional top entry narrow paper envelope that has a tendency to rip the first time you try to stuff all your tissue pieces back into it. Instead, they are sturdy folders made out of recycled chip board with scored folding panels that will easily accommodate your less than tidily folded tissue each and every time you use and then put away a Thread Theory pattern. 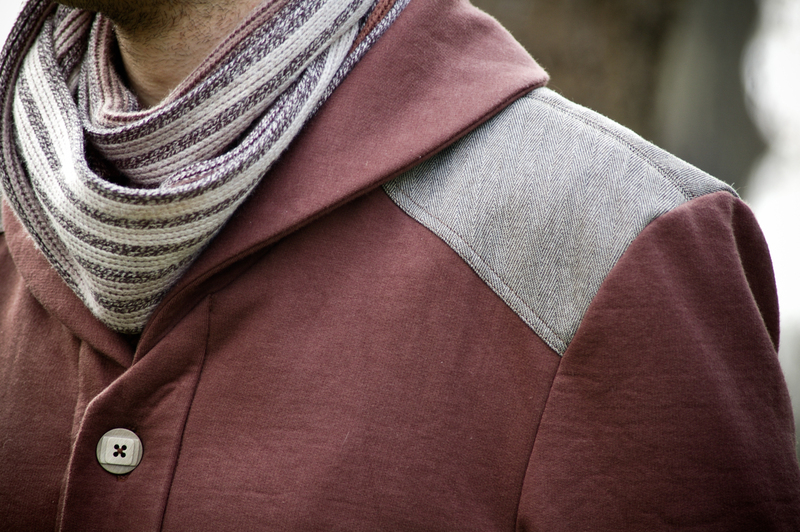 We have numbered each of our designs based on the order they were released as PDF patterns. They happen, by the way, to fit perfectly in the average 12 bottle beer box and perch upright in such a way that it is easy to sort through each number. I might have to do a ‘beer box to pattern storage’ upcycle tutorial in the near future! Each pattern includes two circles: the first displays the available sizes, while the second is a difficulty scale of five needles. We came up with a five point scale because there is so much grey area between the standard beginner, intermediate, and advanced levels. With a five needle scale beginners might feel brave enough to attempt something with two needles and thus advance their skills while intermediates might do the same with a four needle pattern. And each pattern is sorted into the collection it belongs to, complete with a graphic logo! 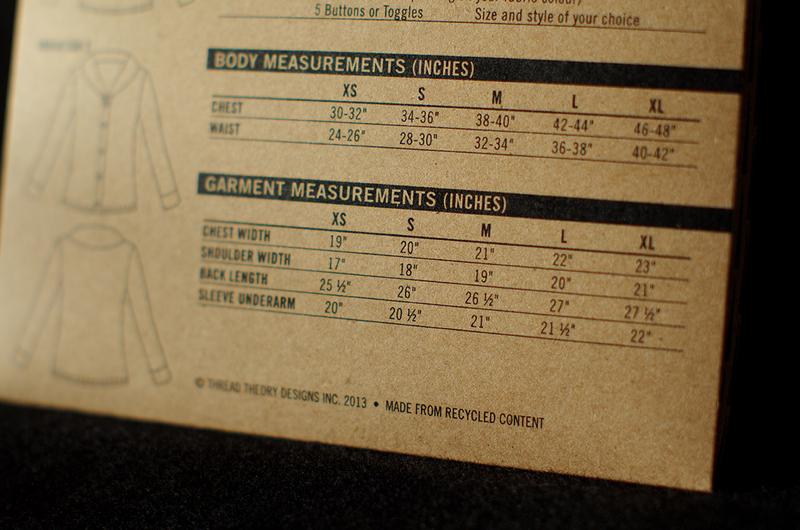 The sizing charts are really simple and clear – I think our designer did an excellent job using black bars and spacing to the full advantage! When you open up your pattern envelope you will be greeted by atmospheric tree silhouettes (to suit the theme of our Parkland Collection) and a beautiful embroidered garment tag. The inside of the envelope has an inventory of our other patterns such as you might find in the back of a paperback novel. The pattern you have chosen is highlighted in black. Also notice the awesome needle pattern that covers all the interior surfaces of the envelope! The paper we chose is 100% recycled but is a nice clear white so that all the illustrations and text are very easy to see and read. 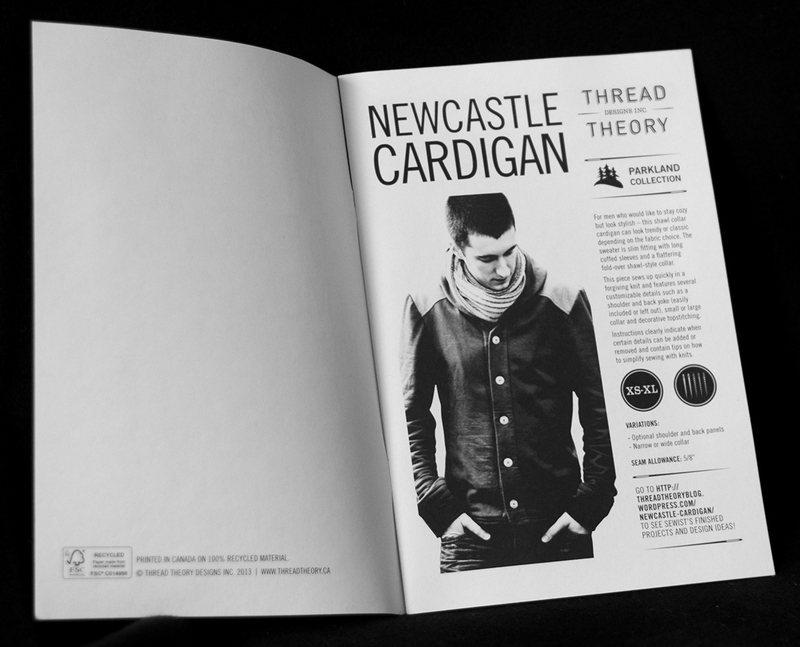 Inside the booklet you will find a version of the photos you see all over our blog and website to give you an idea of what your final garment will look like. We stuck to black and white and bumped up the contrast so that your fabric and design choices are not influenced by the fabrics and colours we chose. 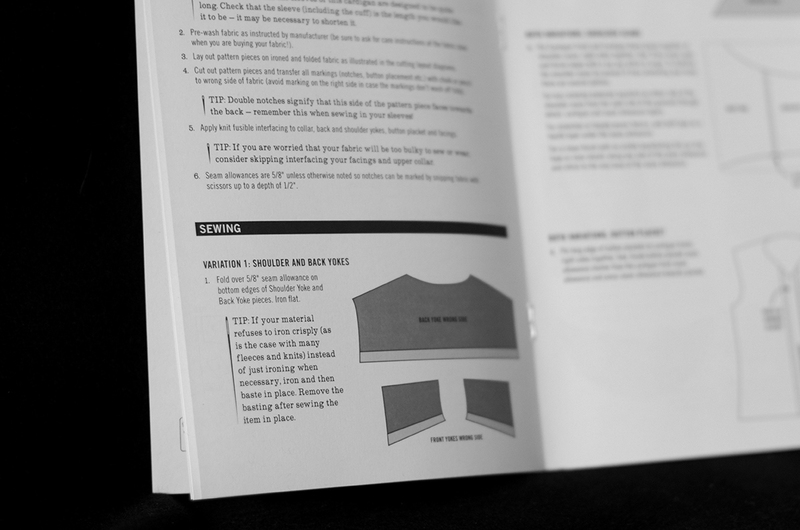 When you see the pattern in the fabric store you will be seeing only the technical illustration on the front cover so that your mind is completely free to imagine all the different fabric and styling possibilities! We hope that you will love our printed patterns as much as we do! 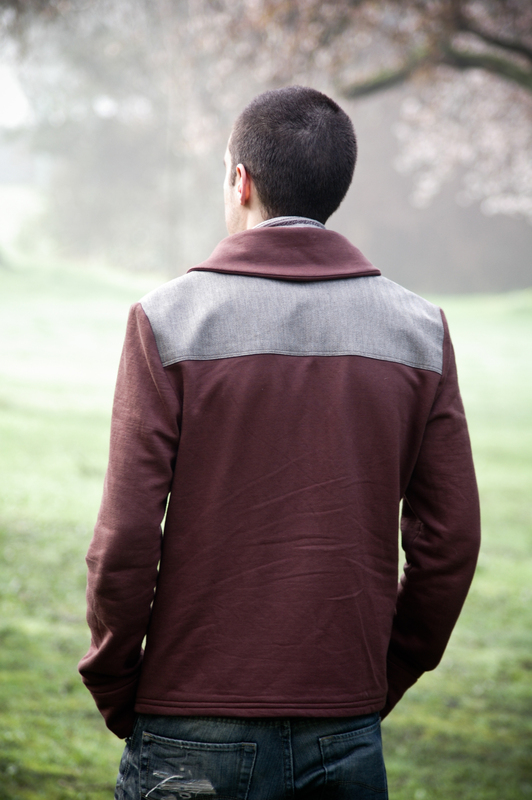 Mark your calendars and head on over to our pattern store at 8:00am (PST) this Friday! Categories: Showcase | Tags: menswear sewing patterns, paper patterns, Parkland Collection, sewing patterns | Permalink.